I often do catering at the concerts. 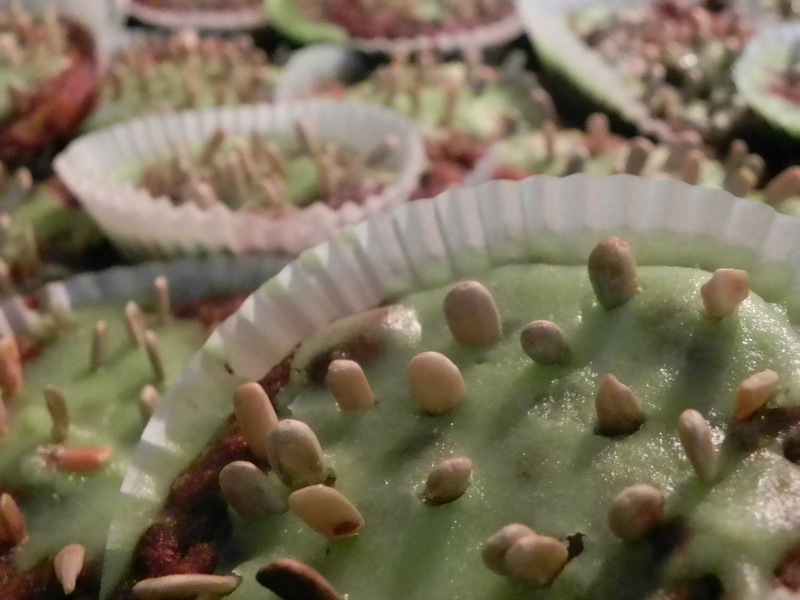 The first time I did it for the dutch band Cactus Truck, so I came up with the idea of doing Cactus-Muffins. Mash the bananas and cut the apple in very small pieces. Melt the sugar with the margarine in a pan, add it and all the other ingredients to the bananas and mix it until it becomes a dough. Put it into muffins.molds and bake it for 25 minutes at 190°c. Meanwhile you can mix the lemon/lime juice with the powdered sugar and green food color until it becomes a sticky cream, done! Take the muffins out fo the oven and add the topping, then stick almond sliver or sunflower seeds into them and they will look like cacti. Soja Geschnetzeltes in leicht gesalzenem Wasser mindestens 20 Minuten aufquellen lassen. Das Wasser abgießen. Dann das Soja mit Zwiebeln und eventuell Paprika in Öl ca. fünf Minuten anbraten, dabei würzen nicht vergessen. Dann die Soße mit Chili in einem Topf zum Kochen bringen. Kidneybohnen und das was ihr eben angebraten habt hinzufügen. Ein wenig nachwürzen, noch’n bisschen ziehen lassen und fertig! Als Beilage eignen sich oder Reis Baguette mit aufstrich.